Hi! 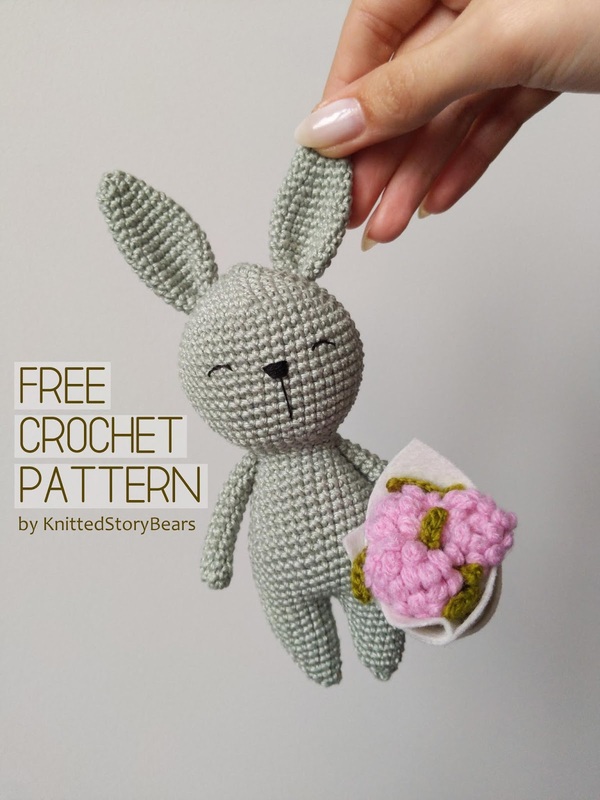 Welcome to my blog full of the free amigurumi patterns! 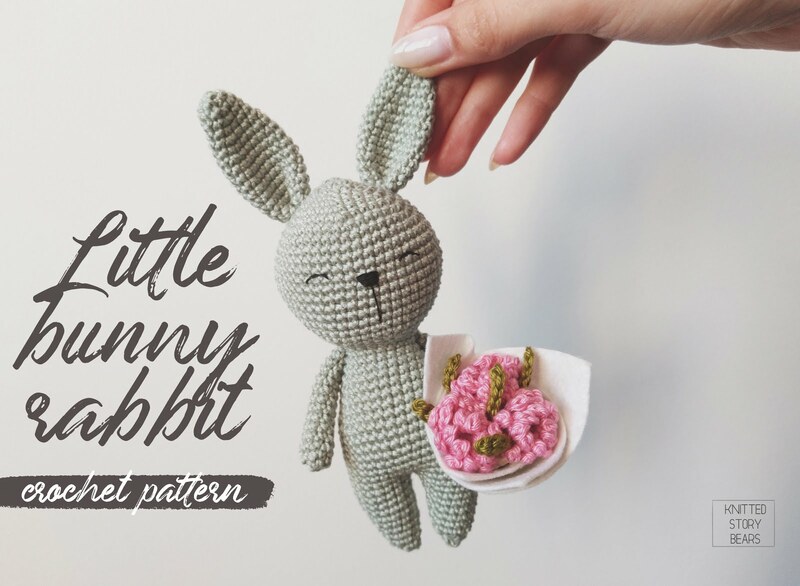 Here you can find a crochet pattern for the cutest the Easter bunny ever. The toy on the photo is approx. 7 inches tall. Rnd 41: 34 sc. Do not finish this round. Don't fasten off, continue with leg 1. 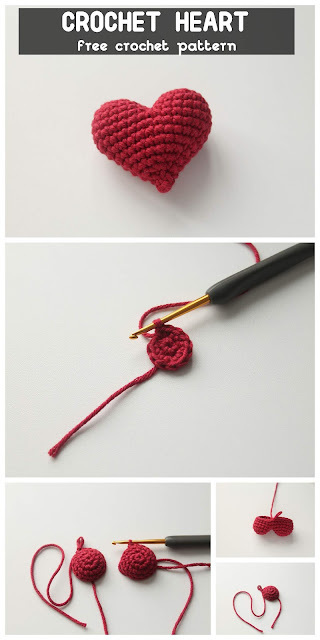 With a sewing needle, insert the end of the yarn through front loops of all stitches of the last round. 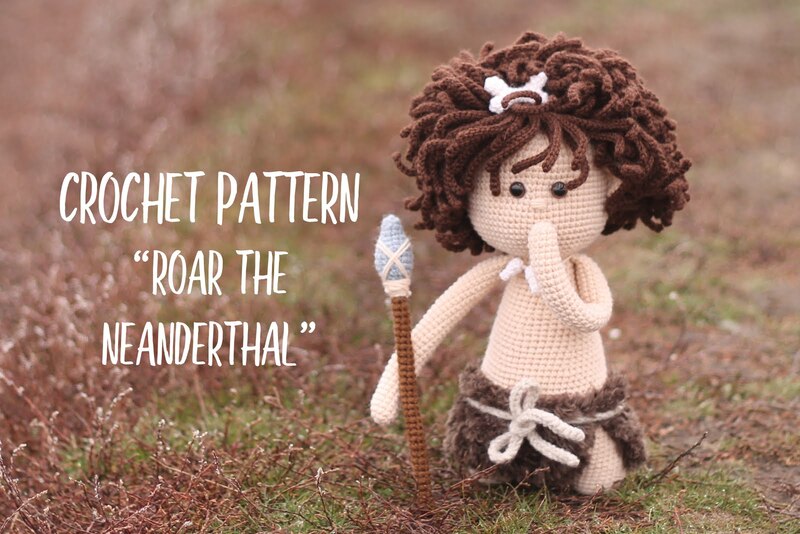 Pull all together at once and weave in the yarn end. Do not stuff the details. 6 ch, start in the second ch from a hook, 5 sl st. Fasten off. Glue or sew the edges of felt. Glue or sew the flowers to the felt. 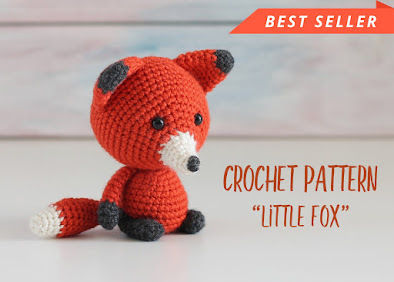 I hope that you will enjoy crocheting! If you have any questions please feel free to ask in comments. 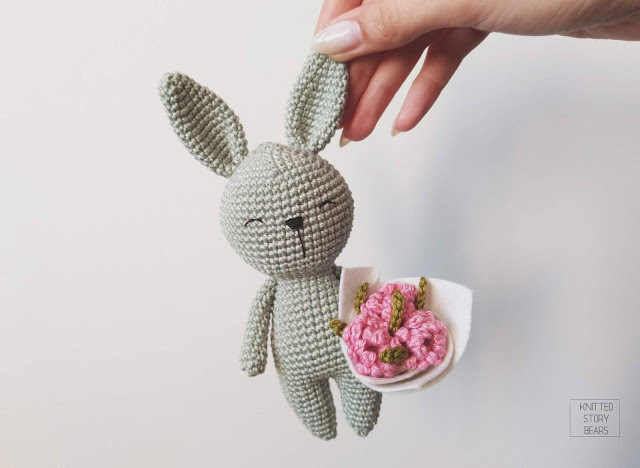 A little crochet heart will be perfect addition to any amigurumi toy. 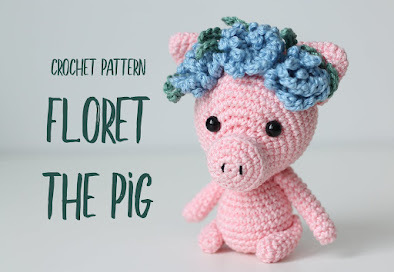 For example, Floret the Piglet already has her own! With a sewing needle and the tail of detail 1, sew up a hole between details in the middle (see pic). 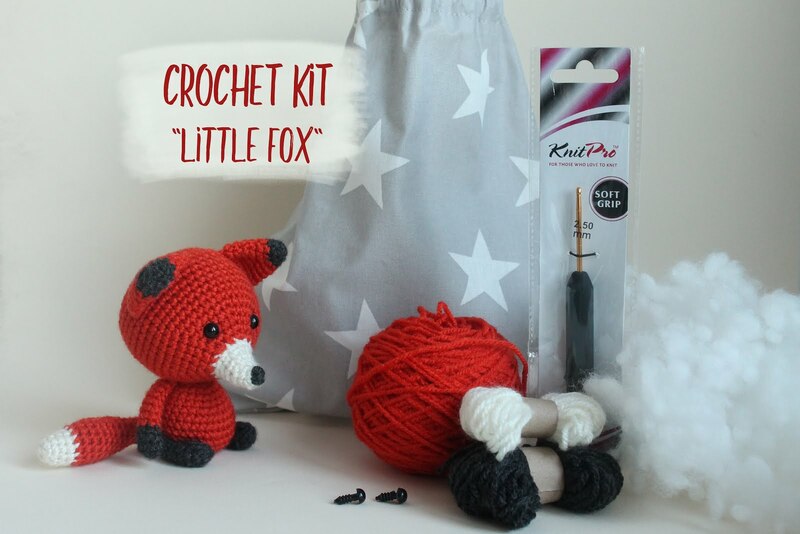 Stuff the heart with fiberfill and continue stuffing as you go.